Writing: Quantos anos a Ann tem? Ann is 22 years old. 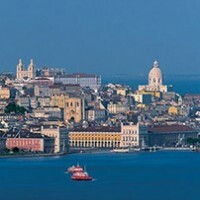 Lisboa in Portuguese is the capital and largest city of Portugal. It's one of the oldest cities in the world, hundreds of years older then Rome, Paris or London.